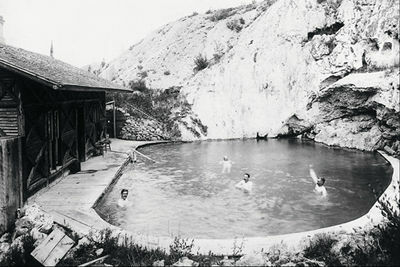 The federal government set aside 26 sq km around the Banff hot springs as Canada's first National Park. Glacier National Park was established in British Columbia. Glacier is famous for its black and grizzly bears, which find abundant forage on the park's avalanche slopes. Yoho National Park in BC was established. 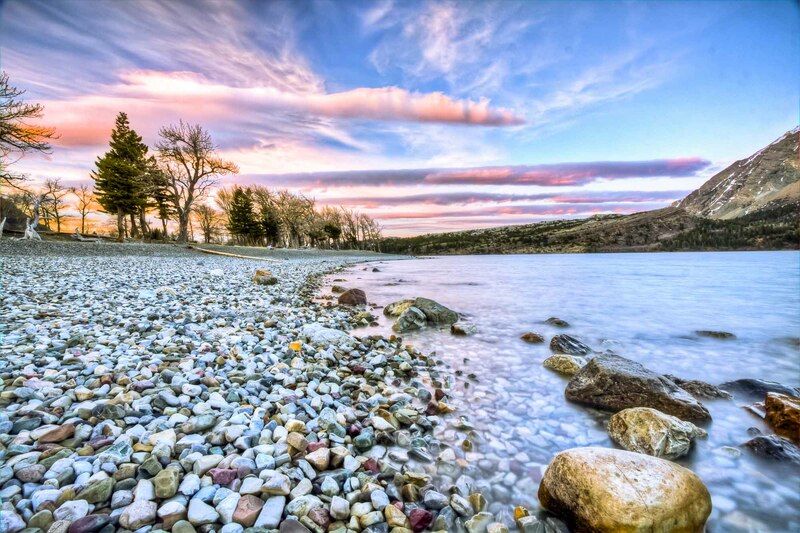 Waterton Lakes National Park was established. The park is situated in the southwestern corner of Alberta on the Canada–US border. 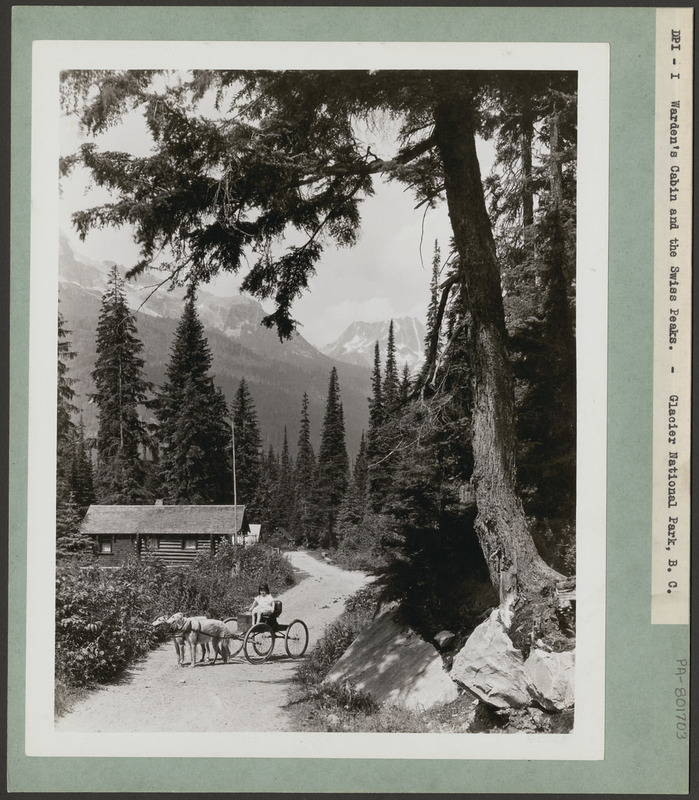 In 1932, the park was united with Montana's Glacier National Park to create the world's first international peace park. 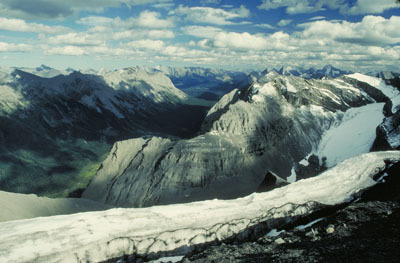 Jasper Forest Reserve, later Jasper National Park, was established as the most northerly of the Rocky Mountain parks. It was named for Jasper Hawes, a fur trader. The world's first national parks service, the Dominion Parks Branch, was established. It is now known as Parks Canada. Elk Island National Park was established is a sanctuary of rolling woodlands and meadows dotted with lakes, bogs and ponds, 48 km east of Edmonton. 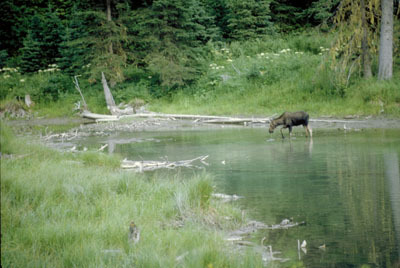 Public interest in the conservation of rapidly dwindling wildlife led to the establishment of a reserve of elk in 1906, which later became Elk Island National Park. It is the only national park in Canada completely surrounded by a fence. 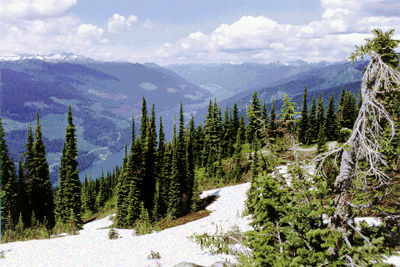 Mount Revelstoke National Park was established. The park is a place of contrasting landscape, varying from rain forests and lush alpine meadows to barren, rocky ridges and glaciers. Thousand Islands National Park was established. One of the smallest National Parks, it is comprised of 26 islands and about 90 islets scattered for 80 km along the St. Lawrence River from Brockville to Kingston, ON. 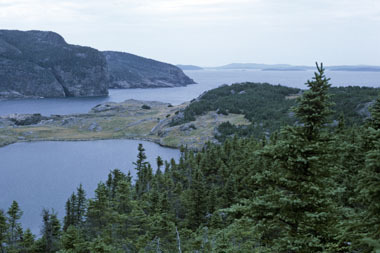 The park was formerly called St. Lawrence Islands National Park. 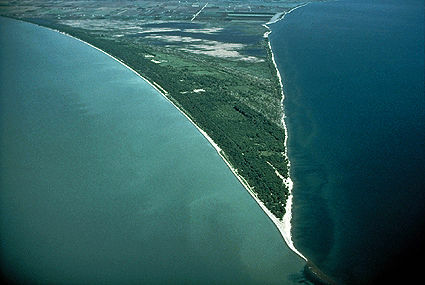 Point Pelee National Park was established. The park is located at the tip of Point Pelee, a long peninsula jutting abruptly into Lake Erie near Leamington, ON, the southernmost tip of Canada's mainland. Kootenay National Park was established. 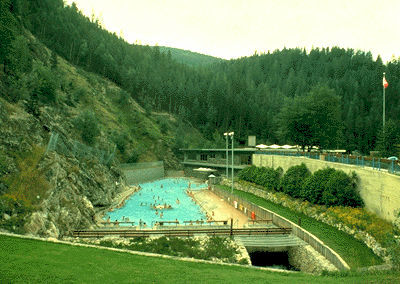 The parc is located on the west slope of the Continental Divide. The park, stretching north and south for 104 km, is bounded on the east by Banff and Mount Assiniboine Provincial Park on the north by Yoho National Park. 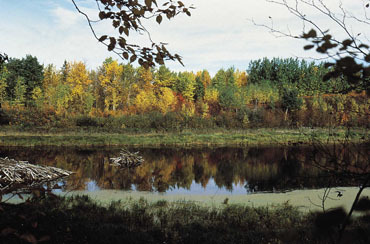 Wood Buffalo National Park was established to protect the last herd of wood bison. Canada's largest national park straddles the Alberta-Northwest Territories border. It was declared a world heritage site in 1983. 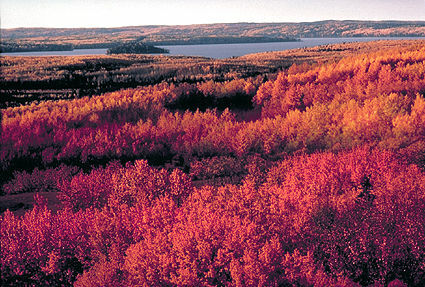 Prince Albert National Park was established. The park is located 200 km north of Saskatoon. The cabin and grave of Grey Owl (Archibald Belaney) are located in the park beside Ajawaan Lake, where he spent the last seven years of his life. Riding Mountain National Park was established. Located 265 km northwest of Winnipeg and perched almost 500 m above the prairie on the Manitoba Escarpment, the park is the "core protected area" of Riding Mountain Biosphere Reserve. 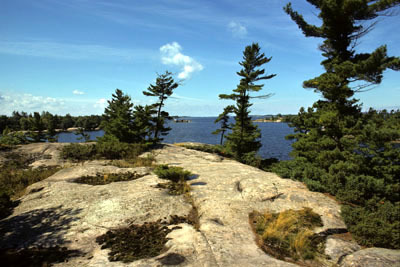 Georgian Bay Islands National Park was established. It comprises 59 islands located off the southeast coast of Georgian Bay. 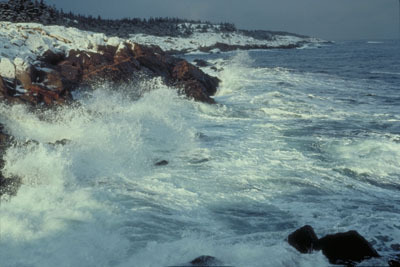 Cape Breton Highlands National Park was established. The park stretches across the northern tip of Cape Breton Island, occupying 948 km2 of a high plateau dotted with ponds and covered with bogs and forest. This is one of the places claimed as the site of John Cabot's landfall in 1497. Prince Edward Island National Park was established. A narrow strip of coastline stretching over 40 km along the north shore of PEI, the park is a fragile seascape of red sandstone cliffs and sweeping beaches, backed by shifting sand dunes held together by the roots of slender grasses. Fundy National Park was established. Renowned for its high tides averaging 9 m, the park stretches for 13 km along the Bay of Fundy and extends inland where wooded hills are cut by deep valleys and tumbling streams. Terra Nova National Park was established. Canada's most easterly national park, it is located on Bonavista Bay, NF. Terra Nova is the Latin form of the name of the island, Newfoundland. The park shows evidence of Paleo-Eskimo, Dorset, Maritime Archaic and Beothuk cultures. 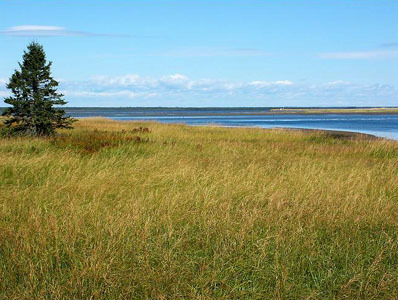 Kouchibouguac National Park was established. 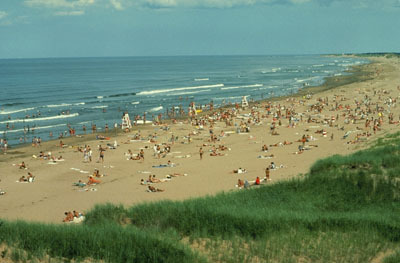 Situated on the eastern New Brunswick shore of Northumberland Strait, the park is a delicate blend of beaches, sand dunes and salt marshes. A 25 km long barrier-island system shelters lagoons from the often violent sea. Several rivers flowing across the park inspired its Mi'kmaq name "river of the long tides." 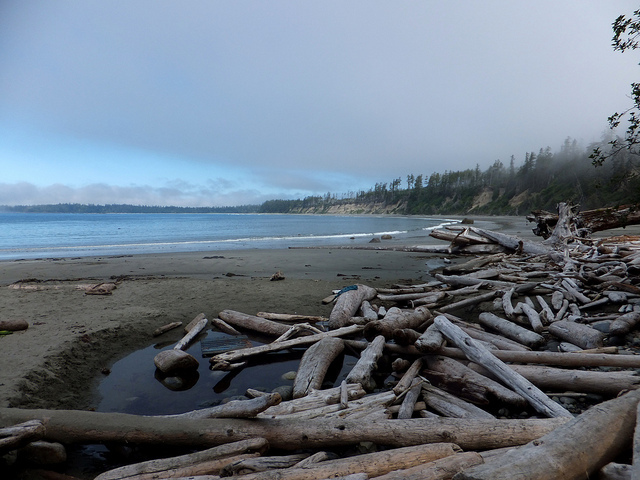 Pacific Rim National Park Reserve was established. It stretches for 105 km along the rugged west coast of Vancouver Island and is unique in that its boundaries extend offshore in order to protect the marine environment. 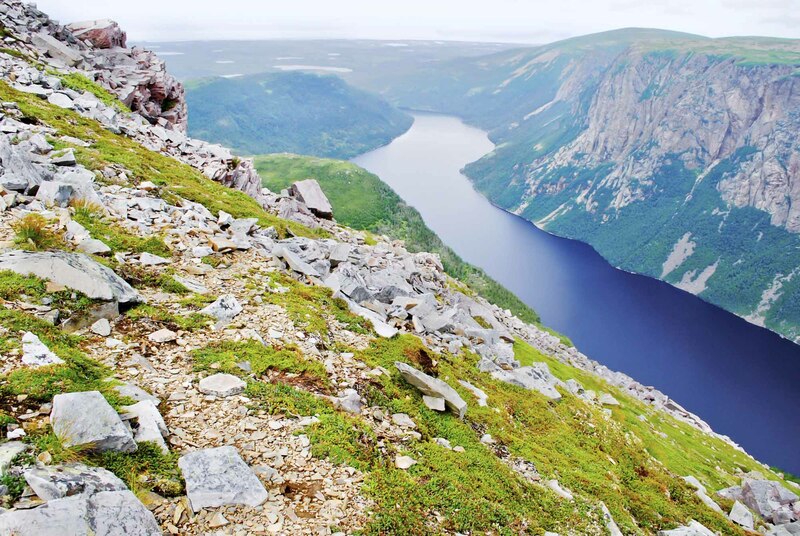 An agreement was signed to establish Gros Morne National Park on the west coast of Newfoundland. In 1987 Gros Morne National Park was designated a United Nations World Heritage Site because of its glacial and geologic history. 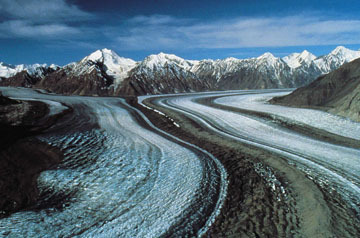 Kluane National Park and Reserve was established. The park is an area of unclimbed peaks, vast ice fields, clear lakes, glaciers and spectacular wildlife. Tucked in the southwest corner of the Yukon Territory, 150 km west of Whitehorse, the park contains Canada's highest peak, Mount Logan. It is named after the Yukon's largest lake, which borders the park. Kejimkujik National Park was established. The park is also a national historic site (designated in 1995) commemorating over 4,000 years of Aboriginal occupation. 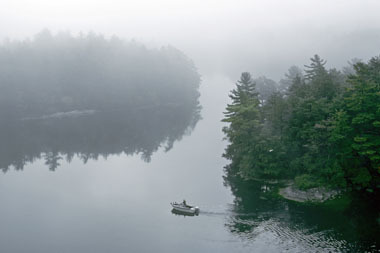 The name derives from a Mi'kmaq word referring to the exertion required in paddling across Kejimkujik Lake, which forms the centre of the park. Forillon National Park was established. 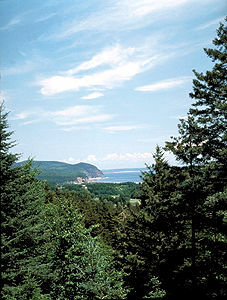 The park lies at the outer tip of the Gaspé Peninsula. The area was a traditional summer hunting and fishing ground for the Mi'kmaq and Iroquois. 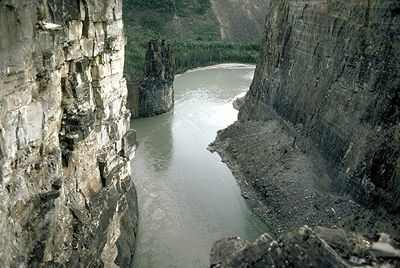 Nahanni National Park Reserve was established. 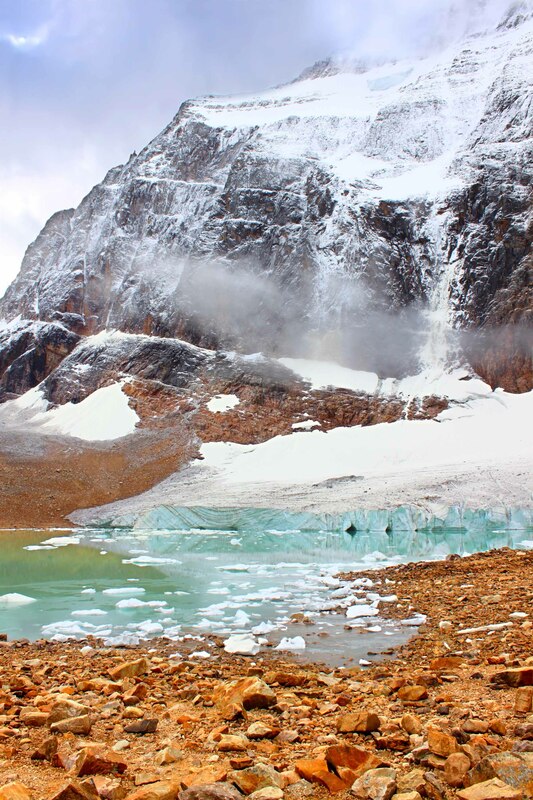 The park is a wilderness of rugged mountains, wild rivers and luxurious hot springs stretched along the South Nahanni River in the southwest corner of the Northwest Territories. The park was recognized as a United Nations World Heritage Site in 1978. Although the lands for Auyuittuq National Park Reserve were set aside in 1972, it was formally established 4 years later. 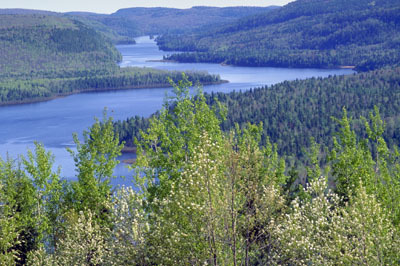 La Mauricie National Park was established. First set aside in 1970, the park is situated about 220 km northeast of Montréal. The remains of red-ochre rock paintings in the park testify to some 5,000 years of human history. 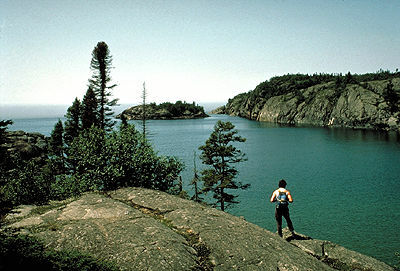 Pukaskwa National Park was established. The park is bracketed on the west by the coastline of Lake Superior, an impressive stretch of massive headlands and beaches of golden sand or water-worn cobble. The "Pukaskwa Pits" are evidence of early habitation of the park area. 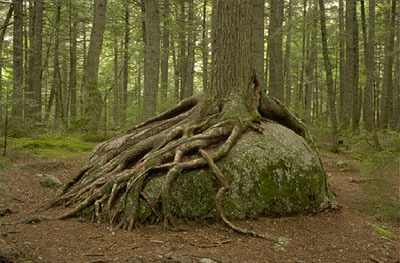 The purpose of these carefully arranged boulders remains a mystery. L''Anse aux Meadows National Historic Site and Nahanni National Park Reserve were two of the first 12 localities given World Heritage Site status. 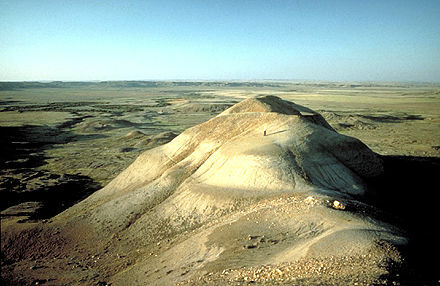 Grasslands National Park was established. 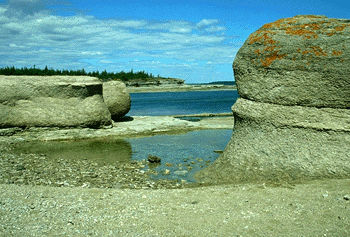 It is situated in the southwestern Saskatchewan Prairies on the Canada–US border. Mingan Archipelago National Park Reserve was established. The park reserve, which consists of some 40 small limestone islands, extends for 155 km between the communities of Longue-Pointe and Aguanish, QC, along the north shore of the Gulf of St. Lawrence. 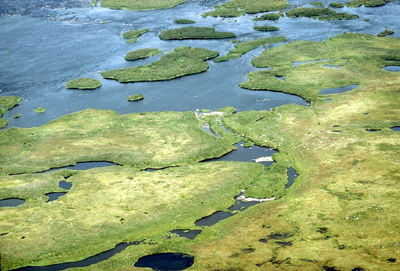 Ivvavik National Park was established. Initially known as Northern Yukon National Park, it was given an Inuvialuit name in 1992. It is Canada's first park established through a native land claim settlement. Bruce Peninsula National Park was established. The park is located on the northern tip of the Bruce Peninsula, at the northern terminus of the Niagara Escarpment. 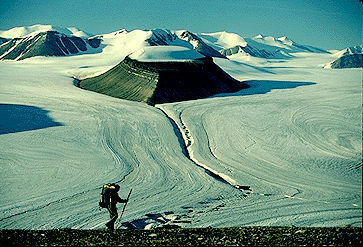 Quttinirpaaq National Park was established and was Canada's second-largest national park (after Wood Buffalo National Park). First known as Ellesmere Island National Park, Quttinirpaaq is Canada's most northerly national park and the most northerly land in North America. 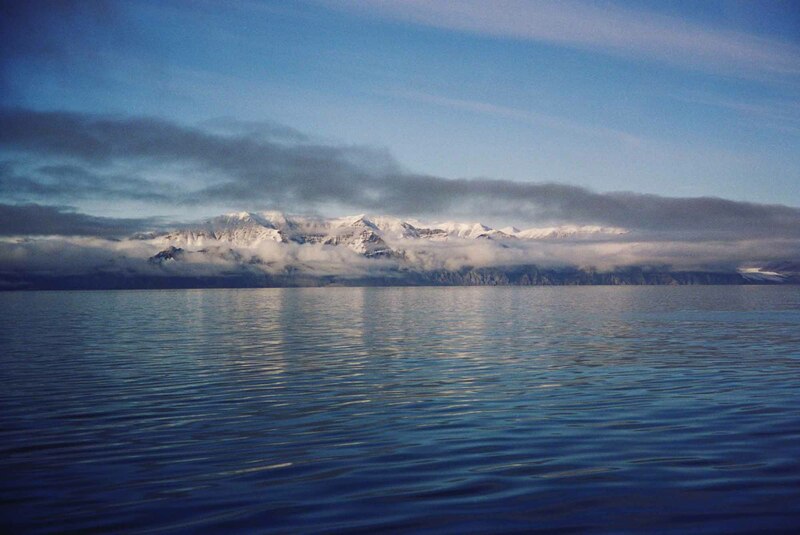 Its Inuit name, taken in 1999, reflects it location, "top of the world." 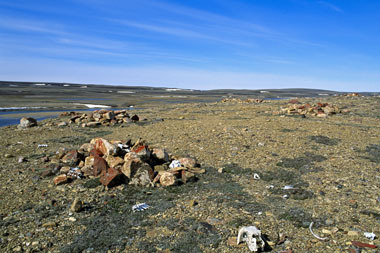 Aulavik National Park was established. Centred on the wide Thomsen River valley on Banks Island, the park has an Inuvialuktun name that means "where people travel." The name was suggested by one of the elders of Sachs Harbour, the only community on the island. 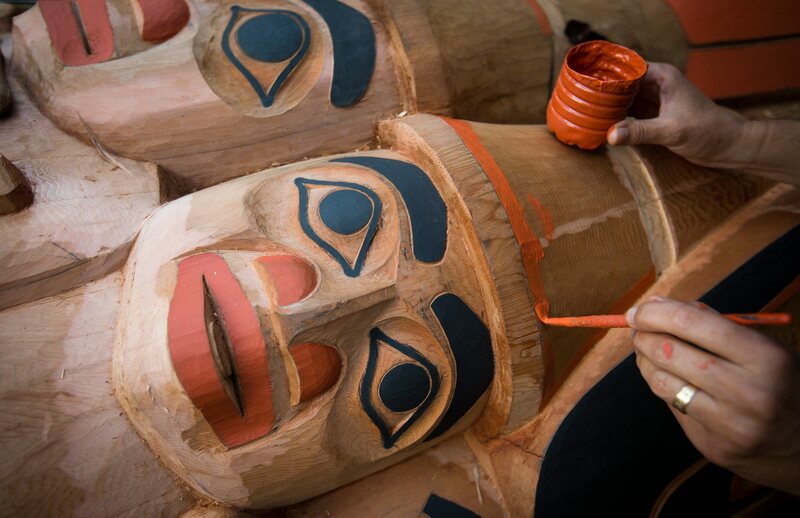 The Council of the Haida Nation and the Government of Canada signed the Gwaii Haanas Agreement, which designated Gwaii Haanas, the southernmost Haida Gwaii island, a National Park Reserve and Haida Heritage Site. Clear-cut logging threatened the island, its peoples and their cultural heritage in the late 1970s through 1985. Haida protests stopped the logging, leading to this agreement. Vuntut National Park was established. A portion of the Old Crow Plain (locally called the Old Crow Flats) was set aside, through the settlement of the Vuntut Gwitchin comprehensive land claim in 1993, for Vuntut National Park. The park is bound to the north by Ivvavik National Park and to the west by Alaska. Parks Canada released a study declaring that human activity in Banff National Park was having adverse effects on the park's ecosystem. Wapusk National Park became part of Canada's national parks system when a federal-provincial agreement was signed providing for its establishment. This national park extends to the east and south of Churchill, Manitoba, and protects a representative sample of the features and wildlife of the Hudson and James Bay lowlands. Tuktut Nogait National Park was created through the efforts of the Inuit of Paulatuk, NWT. 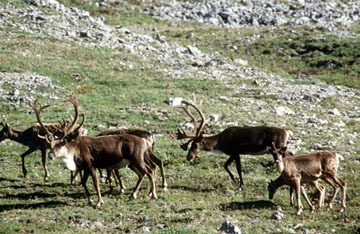 They wanted a national park to help protect the calving grounds of the Bluenose herd of barren-ground caribou, a game animal essential to their way of life. Sirmilik National Park was established. Located on northern Baffin Island in Canada's High Arctic, the park is one of Canada's isolated and most spectacular national parks. Sirmilik is an Inuktitut word that means "place of glaciers." 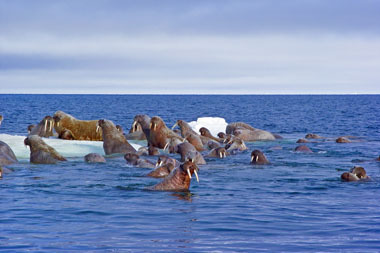 Auyuittuq National Park was established. It was Canada's first national park located north of the Arctic Circle. It was first set up as a national park reserve in 1976 and established as a national park through the Nunavut Land Claims Agreement. 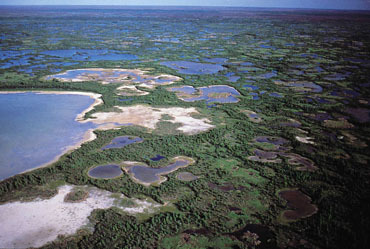 Ukkusiksalik National Park was established. Located on the northwest side of Hudson Bay in Nunavut, it was first proposed as a National Park in 1978 because of the spectacular inland sea, Wager Bay, and the surrounding area. The name Ukkusiksalik in Inuktitut means "the place where soapstone to make pots and oil lamps is found." 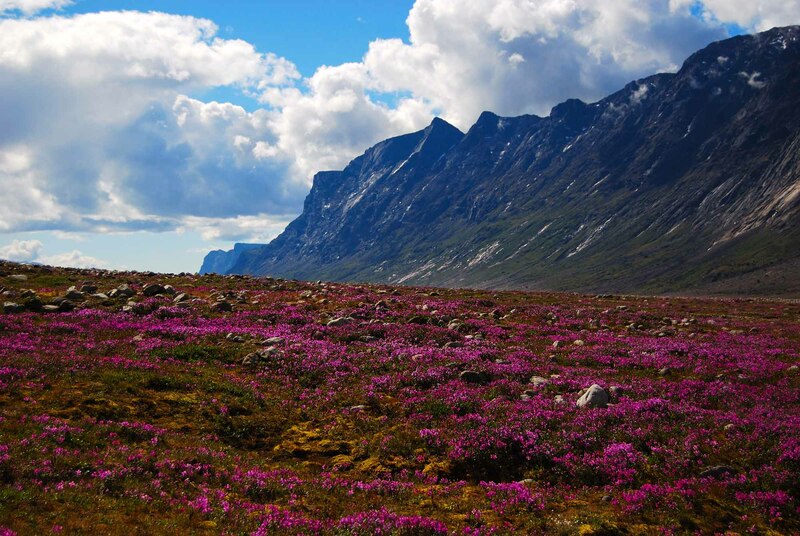 Torngat Mountains National Park was established. 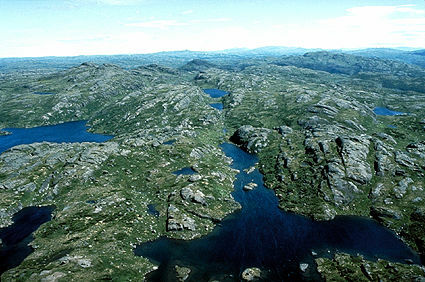 The park encompasses 9,700 km2 of Labrador north of Saglek Fiord. Torngat — in Inuktitut,Torngait — refers to one of the most powerful of Inuit spirits believed to dwell in these mountains. For thousands of years, this place has been home to Inuit and their predecessors, and remains an Inuit homeland today. 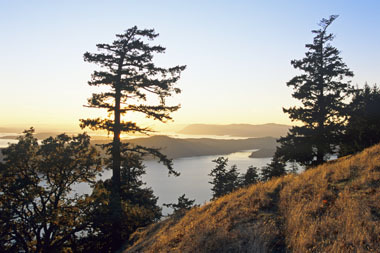 Gulf Islands National Park Reserve was established. 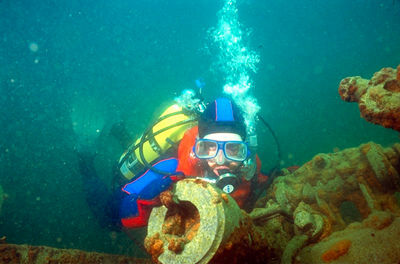 The park reserve is located in the southern Gulf Islands between Vancouver Island and the British Columbia mainland. The Canadian government announced the creation of Canada's 46th national park, the Mealy Mountains National Park Reserve in Labrador. Occupying an area the size of Jamaica, it is co-managed by the Innu, whose names for the area are Akami–uapishku and KakKasuak.